It's a lazy Sunday type of day and I don't feel like doing anything. I still have a slight hangover from last night. It's a little shy of noon and the Mo asks, "What are we eating and when are we eating?" Typically, he'd already have a full course brunch by now but I'm a little under the weather. My response, "You can pick." 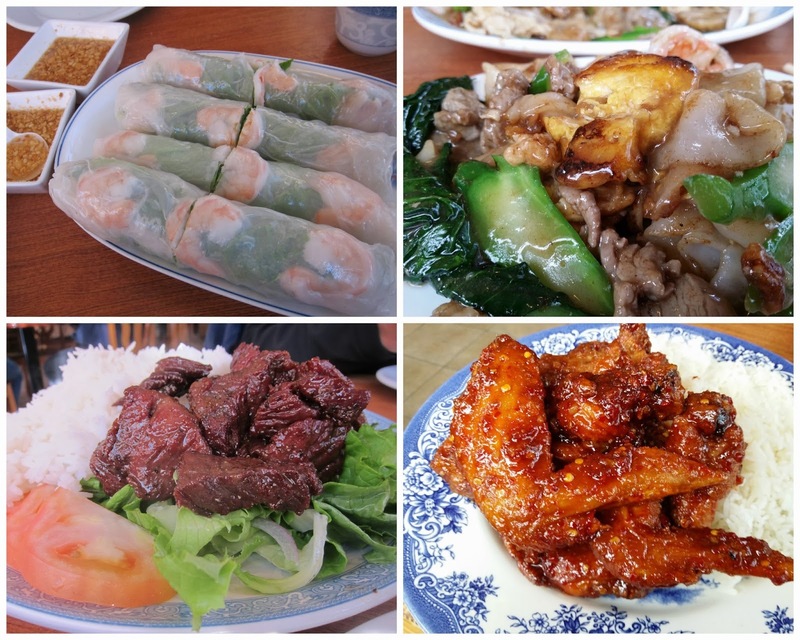 He surprises me with three choices: a Greek food truck Marko's Mediterranean Grill, Babylon, an Iraqi restaurant in DTL or Zabb Elee, a Laotian restaurant that took the place of the old Phien's kitchen. The decision was quite simple for me, the food truck wasn't open on Sundays, I heard mixed reviews of Babylon so Laos/Thai cuisine it is! 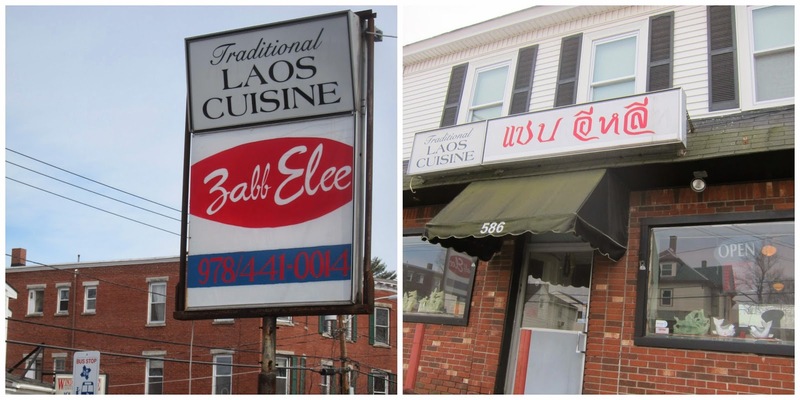 There'e a lot of Cambodian and Vietnamese restaurants in Lowell but I believe this is the only Laotian restaurant in town after Southeast Asian closed a few years back. The restaurant is located on Westford Street in the Highlands sharing a building with a hair salon. We arrived at the small restaurant just past noon. We were the only customers there. The owner greeted us with excitement as he gave us menus. I asked him what "Zabb Elee" meant and he responded that it meant "Everything is good, it's delicious!" Hmm.. I'll be the judge of that. The restaurant was undergoing renovation and separated into 2 sections. The main dining area had 4 small tables for four. There was a small bar being constructed on the back wall. The owner mentioned that he was in the works of trying to get a liquor license to sell beer, wine and cocktails. The crown molding and chair rails were recently installed and only partially painted. 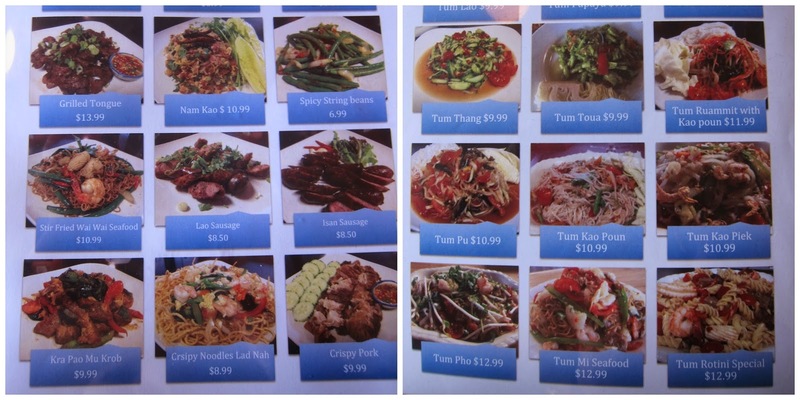 Each item on the menu had pictures of the dish. 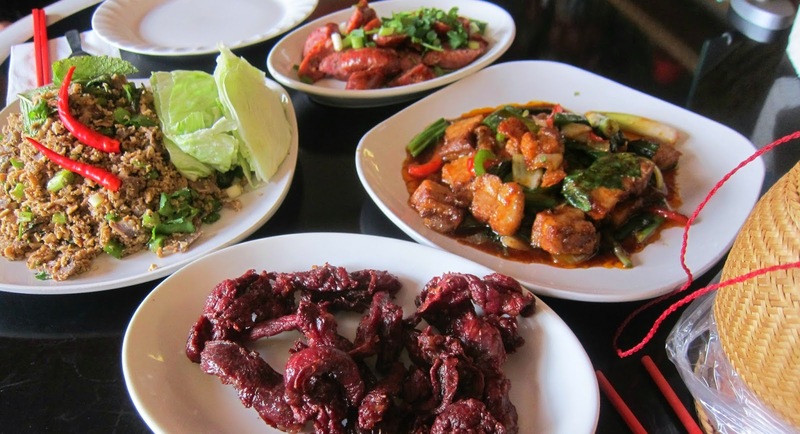 I thought that was a fantastic idea because I am not that familiar with Laotian dishes as I am with Thai. I thought it was awesome that the restaurant had a page dedicated to "Spicy Salads" where you can get papaya salad 10 different ways. The Steak & Cheese and Crab rangoon rolls looked appealing but I wasn't in the mood for deep fried snacks. Maybe next time? We placed our order with the owner and he advised that it would be a 20 minute wait. I thought that was a bit long since there was no one else in the restaurant. He saw us on our phones so he brought us the WIFI password which I thought was really nice. While we were waiting, I noticed that the restaurant also sells "Slimming" products which I thought was pretty random, LOL. The food didn't take as long as the owner said it would. He brought the entrees to our table. None of the dishes came with rice so we ordered 2 baskets of sticky rice which is a staple in Thai and Laotian households. It's a bit harder to make and more labor intensive than traditional white Jasmine rice which can be cooked in a rice cooker. I'm not sure if everything is 100% fresh because I asked for ground chicken breast and thigh meat only in the larb chicken since it usually includes other chicken parts but he said it couldn't be done. I do get it though, when I worked at a restaurant, most of the "Fillings" and ground meat dishes was already prepped. The chicken dish was good but lacking a bit of sourness. It just needed a tad bit of fresh lime juice. The fresh spearmint was great with the dish. 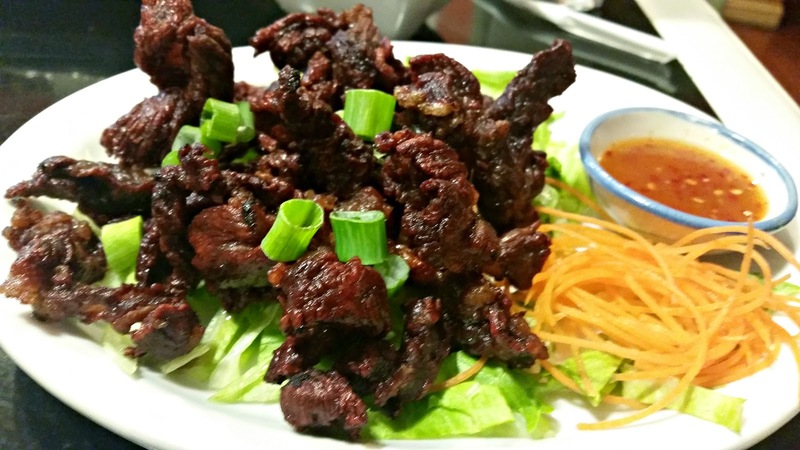 The Mo wanted to try the Laos beef jerky since that is one of his favorite foods. The flavor resembled that of the short and stubby red cured sausage sold in packs of 4 in Asian stores with an acquired taste. It went well with the sticky rice. I've only heard good things about their hand stuffed pork sausages. 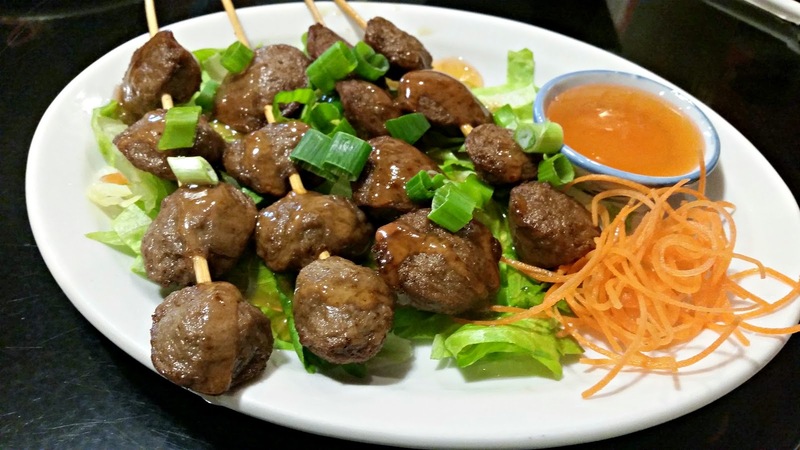 We've had gatherings before when someone showed up with Laotian sausages when it was originally Phien's Kitchen. We got an order to see if it stood up to its predecessor. The sausages were indeed flavorful with a nice crunch from the casing and garnished with cilantro and chopped scallion. My absolute favorite dish was the Kra Pao Mu Krob, crispy pork belly and vegetables Thai basil stir-fry. I would come back to this restaurant just to eat this dish. 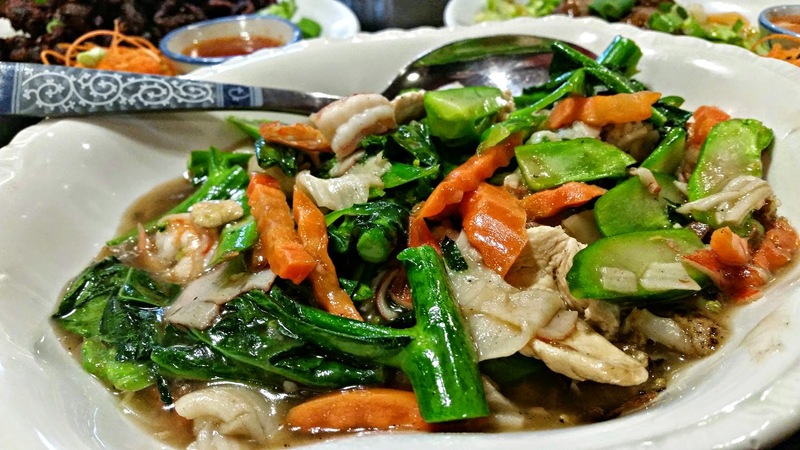 It reminds me of dishes we ate in Thailand. The Mo and I finished the dish and tossed the leftover sausages in the sauce. We were stuffed and still had so much leftover food. The bill came to a little over $ 50.00 which I don't think was too bad since we will still eat it for dinner tonight. We will definitely be back for more! I was craving the Basil pork belly and we went back for dinner. It wasn't the same as I had before. The food wasn't as great as my previous experience. The beef jerky was REALLY hard, they made the pork belly in the wrong sauce , the meatballs didn't have any flavor excitement and the wide rice noodles lacked sauce and flavor.